Since my chicken was frozen, I decided to kill 2 birds with 1 stone and brine it while it thawed. 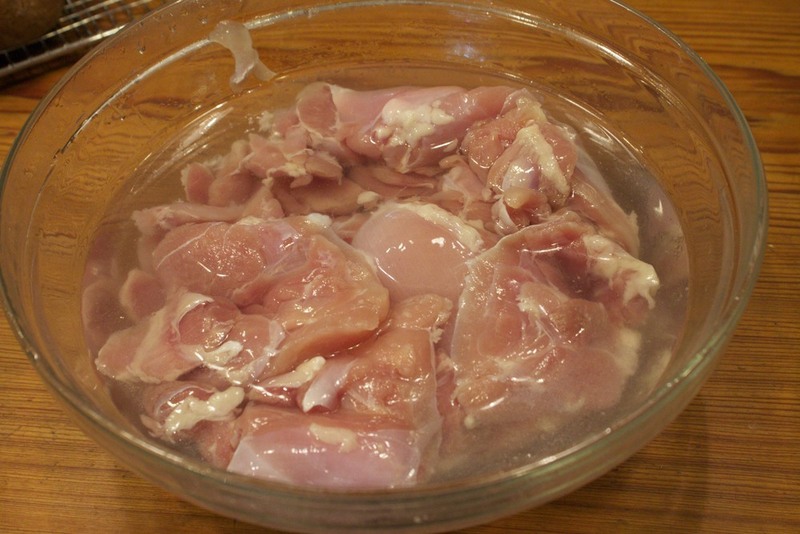 I put the frozen chicken in a big bowl of water and added 1/4 cup of Kosher salt. I let it sit on the kitchen counter until the chicken was thawed, then I poured the water off and rinsed the chicken with cold water. Next I poured buttermilk over the thawed chicken until it was covered, then put it in the refrigerator until I was ready to start cooking. 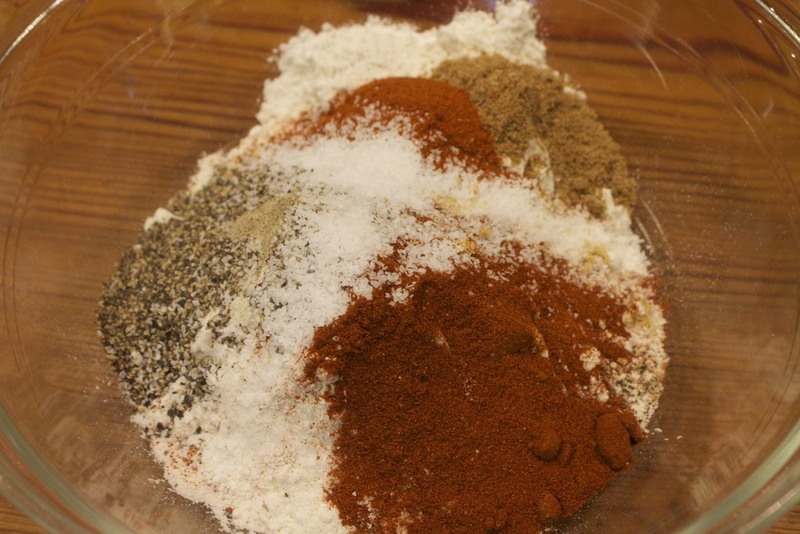 In a separate bowl, mix the flour and the seasonings until well combined. When you're ready to start cooking, take the chicken out of the refrigerator. Heat the oil to 350 degrees. One of my tips for frying chicken is to use an electric skillet. It's very easy to regulate the temperature and I put it on my kitchen island with a towel under it to absorb the grease splatters. Because of this, I don't have to clean my whole stove top. My skillet can also go into the dishwasher, so all I have to do to clean up is unplug it, drain the oil, then put it in the dishwasher. The towel goes into the laundry and I'm done. It takes all the mess out of frying. When the oil is hot, it's time to get the chicken coated. 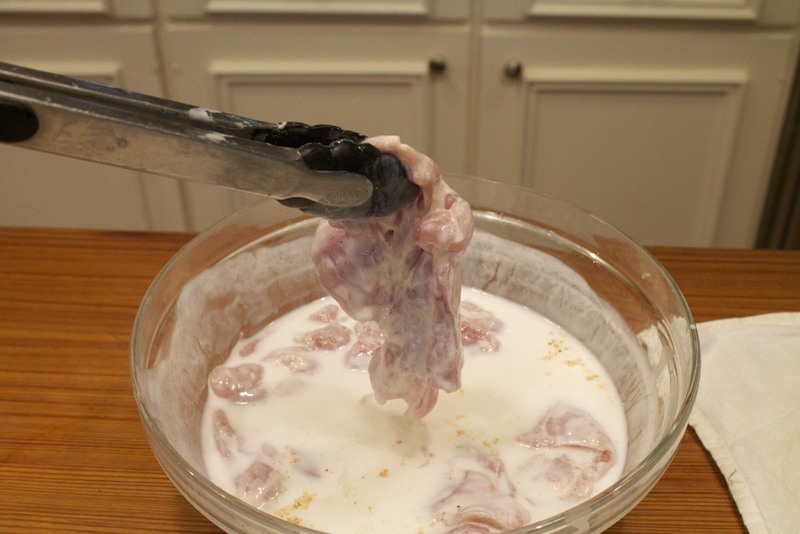 Take 1 piece of chicken out of the buttermilk and let the excess drain off. Dredge the chicken in the flour mixture, making sure to coat all sides well. 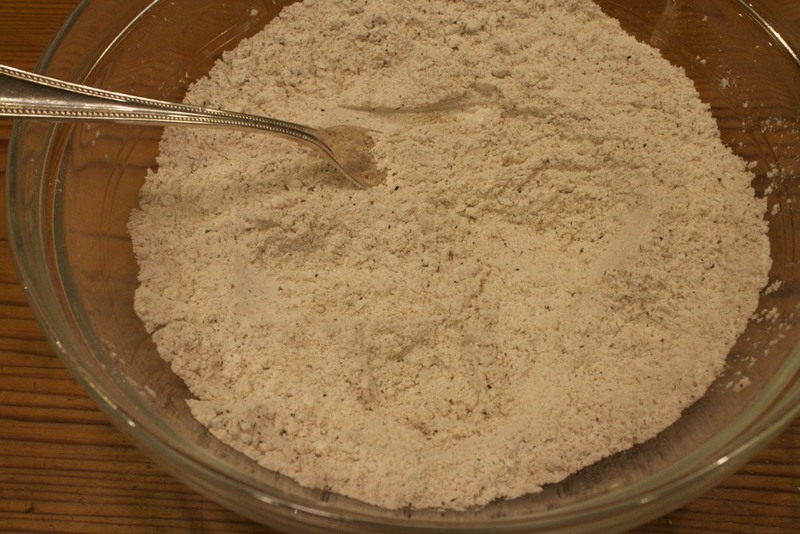 Shake off the excess flour then gently place it in the hot oil. Repeat with each piece. My skillet holds 4 pieces at a time. 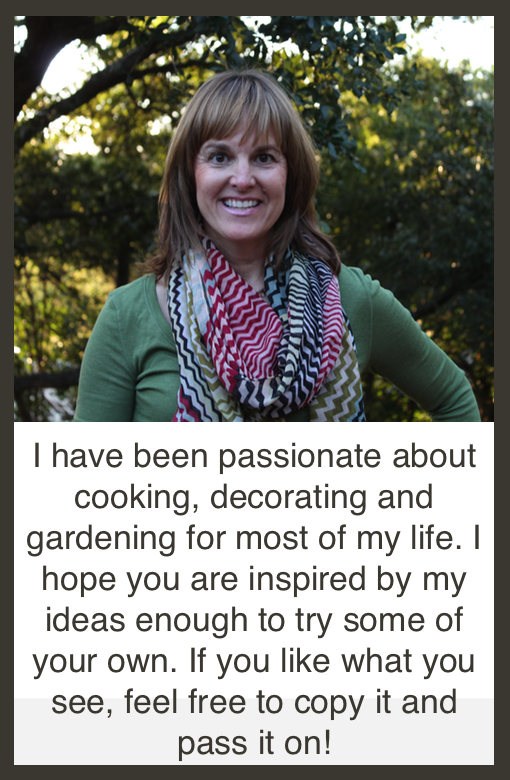 You don't want to crowd the pieces so it's better to fry fewer at a time and do more batches. Fry the chicken for about 4 minutes on the first side, then turn it and fry it on the other side for about 4 more minutes. I use an instant read thermometer to make sure the chicken is done since some pieces are thicker than others. When it reads 165 degrees it's ready. Drain it on a rack with paper towel underneath. Sprinkle with salt as soon as you take it out. Repeat with the remaining pieces. Just like I said--easy! And better than anything you buy in a box I promise. I served it with a big Caesar salad and nothing else. It was perfect! Posted in In The Kitchen and tagged with chicken, fried chicken. September 12, 2013 by Lynn Adams.